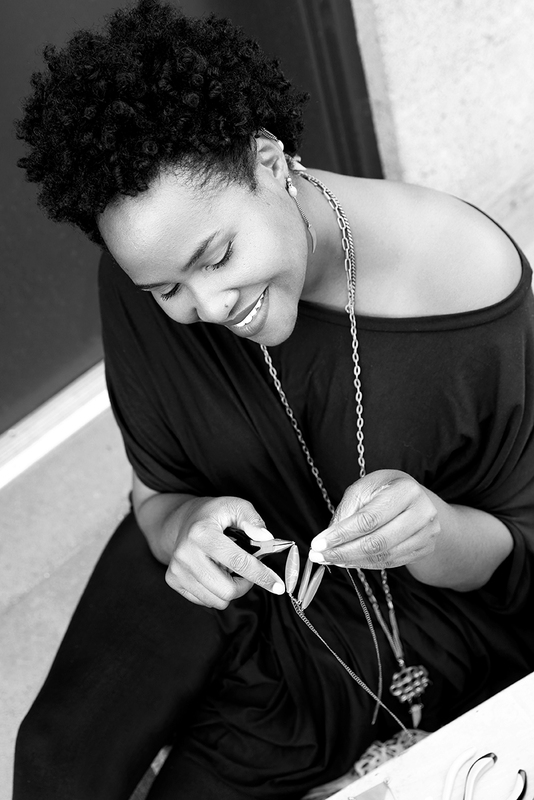 Candice Cox, the creative mind and business owner behind Brooklyn based company CanDid ArtAccessories grew up in Oakland, California where her parents nurtured her creative talents early on while simultaneously instilling the importance of hard work, and having passion behind whatever you do. Established in 2011 CanDid Art Accessories is inspired infinitely by research and affinity with African visual culture, indigenous design vernacular, and cosmic geometry. "I wanted portraits that reflect my personality as well as my style and that captured me in my element, doing what I love."